We’ll be taking a quick look at the ALTO ZMX52 Compact 5-Channel Mixer. This mixer has everything a beginner/amateur needs. It’s compact and small, supports up to 5 channels, XLR input with phantom power, and comes with a nice large dial for the main audio level. Let me start with a disclaimer. I have to say … I am NOT an audio expert nor am I a musician. But one thing I can say and that is … I’m a Vlogger, Youtuber and a live streamer. So why do I need one of these popular audio mixers? Well lately, for the past several months I found myself doing a lot of live streaming, whether it’s gaming, podcasting or general chit-chat … I needed to get the audio perfect or at least just right for streaming. During my recent live streaming/recording session, I discovered the need to have several sources of audio, which includes my microphone, sound effects machine, video camera (phone) and others. Sadly, there just isn’t enough audio inputs/line-in on my PC to allow me to connect all of the above. And even if I did, I wouldn’t be able to control the audio levels of each sound source. To solved this problem, a dedicated mixer is required. Here’s a little information about ALTO Professional taken from their website. ▲lto Professional was founded in 2000 by a passionate team of audio engineers striving to produce products that delivered superior performance at affordable price points for use in live performance settings . Through the use of modern manufacturing techniques, cutting edge DSP technology, and sophisticated design, Alto has succeeded in producing a range of products that provide both exceptional performance and exceptional value for the performing musician and live sound engineer. Let’s see how easy it is to set up and configure the ALTO ZMX52 Mixer for our streaming setup. I’m interested to see how the audio will sound. The ZMX52 is the perfect mixer for quick, easy setups with no hassle. Not only can you can plug dynamic, condenser, and wireless microphones into the first channel, but you also get two stereo channel inputs for keyboards, drum machines, and other instruments. What’s more, you can easily plug in your MP3 player, CD players, or audio from a DVD player into the CD/TAPE input. But, you also have a dedicated stereo output to send to a recorder in addition to the main stereo outputs. 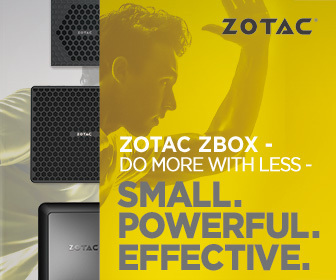 Choose the ZMX52 as the audio central command for your live performances, home studio, or video suite. Just because the ZMX52 is the smallest, most affordable mixer we make doesn’t mean you have to make sacrifices. This compact mixer brings the same standard of quality to your performances as our top-of-the-line models. All Alto Professional ZEPHYR ZMX mixers are designed with high headroom and ultra low-noise, discrete mic preamps so you always get the full dynamic range of your mix every time. We designed every ZEPHYR ZMX mixer with your performance in mind. Sometimes venues are dark and it can be hard to see what you’re working with. Alto Professional solves this problem by not only color coding each section of the mixer, but also by using brightly colored knobs so that you can easily find what you need to adjust before you ever lay a finger on the mixer. Our blue, red and white pots are instantly easy to identify in dim lighting. LED indicators for output level, peak, and phantom power also assist in making sure that you have multiple visual cues that compliment everything you’re hearing. The ALTO ZMX52 Compact 5-Channel Mixer does what it say on the box. It’s compact and portable making it perfect for musicians on the move (or streamers alike). Setting up and configuring the mixer is super easy, so no complaints here. With a total of 6 inputs each with its own level adjustments, and one phantom powered XLR input (for mic), it’s more than enough for most beginners and amateur users. What I like about the mixer is the onboard digital effects, although it only one the first input, does a good enough job. There’s adjustments for Gain, EQ (hi and low) and Pan. You can pick up the ALTO ZMX52 Compact 5-Channel Mixer for around USD $49 from Amazon. At this price, it’s an absolute bargain. It does everything I need it to do (plus more if I wanted to use the mixer for instruments). There are more expensive mixers dedicated for streaming such as the Soundblaster K3+ , but at a price of USD $129, it’s something you might want to think twice. If you’re doing a lot of streaming, podcast or live gaming, and you want to be able to connect several audio source to your PC … then you seriously need to consider the ALTO ZMX52 Compact 5-Channel Mixer . It has everything you’ll need at a price that’s too attractive to miss!